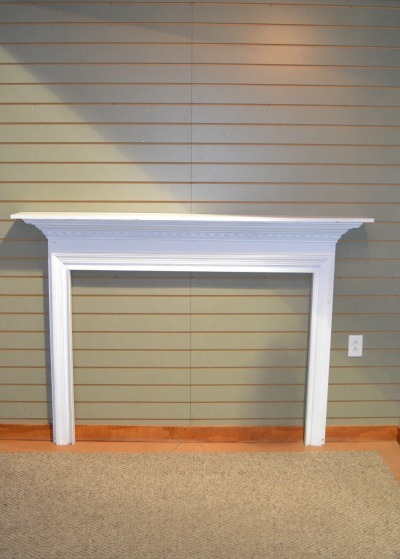 A plain, white fireplace mantle is begging to be filled with Holiday charm! 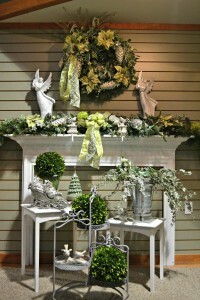 We were inspired by our festive decor in the Gift Boutique to create 3 unique looks to make an empty mantle feel more at home. 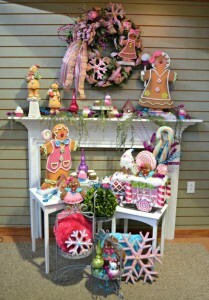 Use these ideas from our resident decorating expert, “Aunt Phyllis”, to help you find your Holiday style. 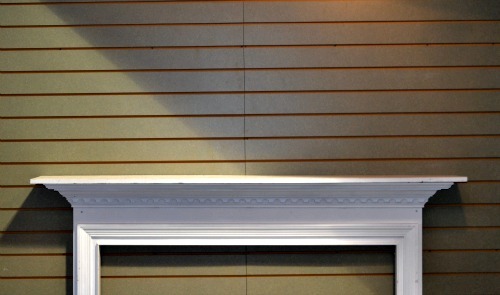 From traditional to fresh and funky, these handcrafted Holiday mantles should provide plenty of inspiration for your own home. 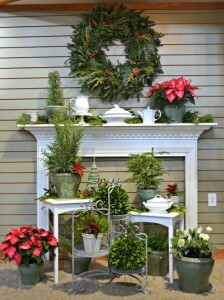 The only permanent pieces we used for each design were the mantle, white nesting tables, a stacked plant stand and artificial boxwood balls.